MicroRNAs (miRNAs) play key roles in cellular development, differentiation and cancer growth by regulating gene expression. They may be clinically useful as biomarkers and as targets for new drugs to treat such cancers as glioblastoma multiforme, the most common and lethal primary brain tumor in humans. But first scientists must understand better how the actions of these tiny bits of nucleic acids are regulated and coordinated. A regulatory network approach may provide clues. Now Zhongming Zhao, Ph.D., associate professor of Biomedical Informatics, and colleagues including University of Virginia neuro-oncologist Benjamin Purow, M.D., have generated the first regulatory network for glioblastoma that includes miRNAs, transcription factors and disease-associated genes. Analysis of the network identified four functionally critical miRNAs that had previously been identified, plus two others. 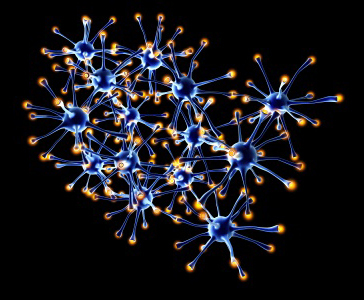 These findings demonstrate the power of the network-based approach to identify new and important miRNAs in glioblastoma and potentially other cancers, the researchers reported in the July issue of PLoS Computational Biology. The study was partially supported by Vanderbilt’s Specialized Program of Research Excellence in GI Cancer grant (CA095103) and the VICC Cancer Center Core grant (CA068485) from the National Institutes of Health.